The leading business engine for mobile games. We've worked with the world's leading game developers, and we've delivered big. If you need to turn installs into engaged players, and players in payers - we can help. Managing the player lifecycle from install to purchase isn't a luxury or 'nice to have'. It's a necessity. Swrve is built from the ground up to make it happen, supporting in-game campaigns, push notifications and dynamic optimization of content to get players over the line and delivering ROI on your development and acquisition spend. 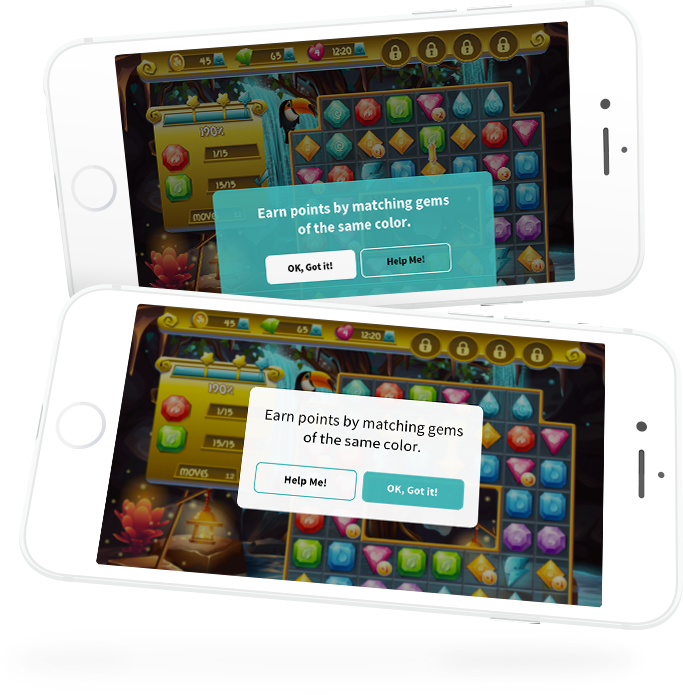 Swrve is the only A/B testing solution out there sophisticated enough to handle the demands of the games industry. We enable monetization managers to edit and test every aspect of gameplay and game experience - including variables such as difficulty or gravity - right from the dashboard. And we do it all at scale, in live environments encompassing millions of players. Swrve enables you to track the metrics that matter in gaming, including currency spent, earned and granted, DAU, ARPU, ARPPU and the rest. 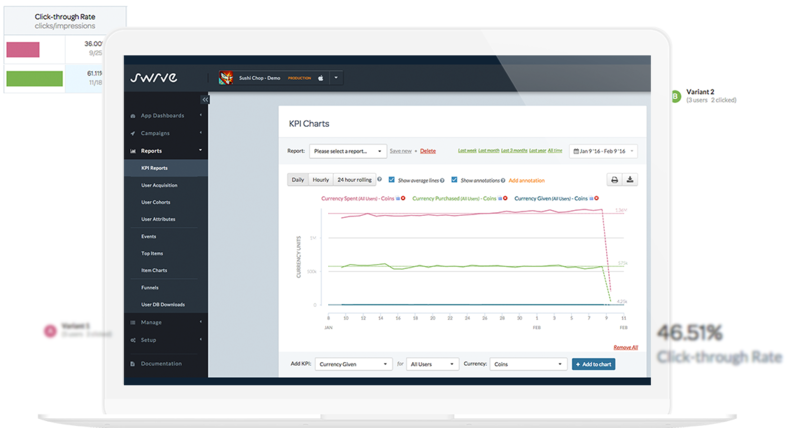 Thanks to our fraud filter, you'll get a true view on your revenue performance. And you'll be able to see exactly how the changes you make and campaigns you run affect business performance. We're all you need to turn a game into a business. Want to know more about mobile in games?